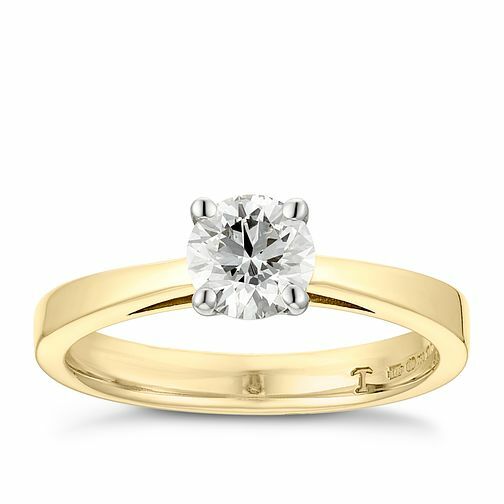 Tolkowsky 18ct yellow gold 2/3ct diamond solitaire ring featuring a clarity and colour of HI VS2. Spoil her with this stunning diamond ring that she'll love. Each Tolkowsky diamond comes with a gemological certificate.